Most of our underclothing was obtained from the Red Cross Stores at Nish or looted (I grieve to say it, but one soon adopts the habit!) from the railway station here, when a consignment of Stobart [another relief unit] luggage arrived after its owners had left the country… Most of my underwear seems to have been sent out the Serbian Relief Fund by a kind lady named Macgregor, and I bless her every day—indeed, there were sad lamentations last week when one of my Wee Macgregors got lost—plainly marked in nice red tape as he was. It is a great advantage to have legibly marked things. One scores heavily over the people who attempt wonders with bits of black wool and red cotton, which invariably disappear under Slatka’s ruthless treatment. If only she wouldn’t boil flannel things! I am convinced they would shrink less if she abandoned this treatment, and as one may have to live for the next two years in these same clothes the outlook is rather serious. I rather think Mrs Macgregor must have been what I believe is known in draper circles as “Slender Womans” –I unfortunately am not. 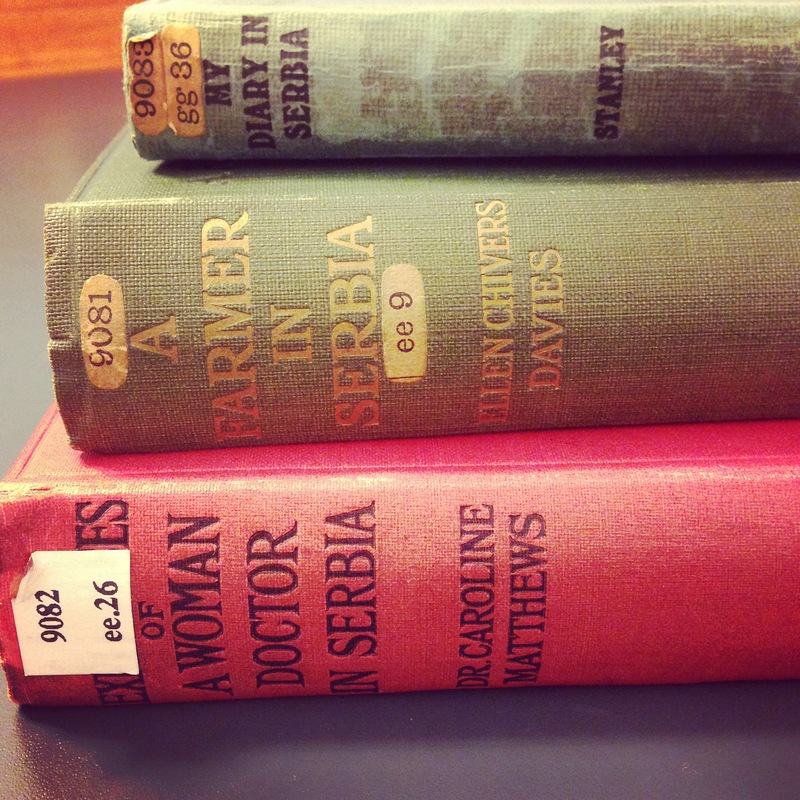 –Ellen Chivers Davies, A Farmer in Serbia. The excitement! One can never forget the breathless moment when one gasped like a fish in realizing that it meant home, and news, and letters, and interesting food, and a nice bed, and no boards lashed together for seats, and no dreary filling up of days, no sentries, no black bread, fresh butter—even marmalade for breakfast—and the luxury of Solitude—baths—hot water that turned out of a tap—no groves of laundry—no more Macgregors—linen sheets, and an eiderdown—our breath failed and even imagination for a moment. I’ll think of that when I’m getting dressed tomorrow. At least I’m not stuck wearing another, more slender, woman’s underwear.